Three weeks ago in my column, I wrote about the satisfactory KLM traffic figures for the first half of 2018. The feeling of being ‘halfway through the year’, and the – for me personally apt – parallel with running. I also briefly reflected on the situation around the CLA agreement for cockpit. We do everything we can to come to a suitable CLA agreement with the VNV as quickly as possible. Today I am in Paris for a presentation regarding the first half-year financial results of AF-KL. Besides the importance of the numbers, there is obviously a great deal of interest about the appointment of the new AF-KL CEO since the departure of Jean-Marc Janaillac in the beginning of May 2018. For AF-KL, the previous weeks and months have been turbulent with speculation and media coverage concerning succession. The AF-KL board, under the leadership of non-executive Chairwoman Anne-Marie Couderc, is channelling all of its efforts into the succession and strives to have a new AF-KL governance structure in September. In-house we have managed the daily affairs for AF-KL with the so-called “Comité Directive Collegial” - Frederic Gagey, Franck Terner and myself. This is the temporary governance structure next to our current existing roles; CFO AF/KL, CEO AF and CEO KL. Today we make it evident that we made considerable progress together in these recent months. For example, by signing important agreements with our major Chinese partners two weeks ago. Yesterday we also made an important move by announcing our ambitions to start a joint venture with Air Europa on a number of South American routes per summer 2019. It is another extremely crucial step forward for the networks of Air France, KLM and Air Europa in this growth market. Our KLM network in South America today has 11 destinations and approximately 2 million seats. That is 4 destinations and about 800 thousand more seats than, for example, five years ago. The AF-KL result was negatively influenced by the repercussions of the strikes at Air France between 22 February and the beginning of June. A large proportion of the decrease in operational income for Air France is related to these strikes. It’s disappointing to see this, especially for all Air France colleagues - the majority - who have been working so hard during the strikes to limit the negative impact thereof for our customers. The importance of internal solidarity between Air France and KLM remains unabated. 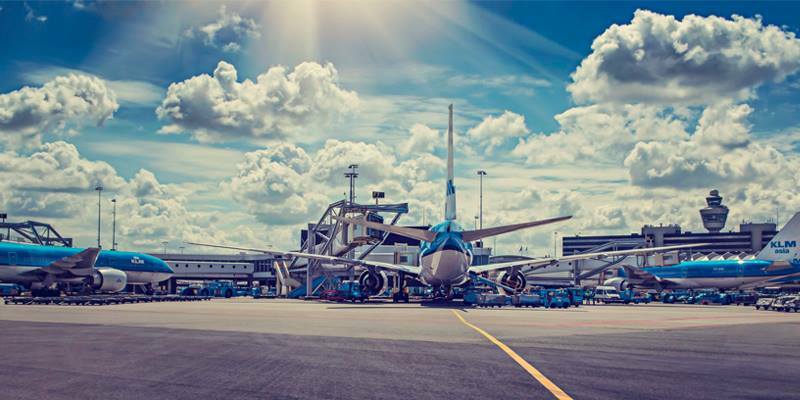 At KLM, we can all be very proud of the positive results of the first half year, which were marginally higher than the record results of the first six months last year. Many thanks for the efforts that everyone made! The higher fuel costs of 112 million Euro are absorbed by an increase of the load factor and revenues per unit. In comparison to last year, KLM welcomed one million more passengers: a record of 16.6 million! Three of the four divisions of KLM, namely Passage, Cargo and Transavia, have achieved good results. For E&M, the result was less positive, due to the impact of the US Dollar exchange rate among other reasons. Additionally, with more than 700 million Euro, our investments in these last six months were also a record! The customer appreciation, as expressed in the NPS (Net Promoter Score), was just as positive in the first six months. With an average of 41, the score was higher than the score of last year (40), but below our target of 43. In my last column, I had emphasized the necessity of renewed focus on unit cost, especially given the pressure that the increasing fuel price puts on our results. In addition to this we also experience a good deal of pressure in operations: the airspace is full, the airport is full and we have full flights. Given the increasing non-performance costs and the effect on the NPS, focus is also required in this respect. In the last weeks, we have experienced the longest continuous period of heat ever in the Netherlands. A blessing for some, an agony for others. Last Friday at Schiphol, the mercury even shot up to 38 degree Celsius! I have tremendous respect for our colleagues who are working in operations: on the platform, in baggage handling, in Cargo, in E&M, on board, etcetera, in all areas where it is boiling hot. All the more because here in the Netherlands operational buildings are not equipped for this heat, and we are in the middle of the busy holiday period. This past Monday, Schiphol experienced the busiest day with 233,000 passengers, and on the same day at KLM, we welcomed almost 102,000 passengers on board. So double respect for everybody’s commitment in operations! In addition to the record loadfactors and temperatures, for many the summer is a time to ‘refuel’, to relax; alone, with a partner, friends or the family. For me personally, it is always a nice moment to be with my family. I am going to Greece where I lived and worked for three years, and which holds a special sentiment to me. After which, fully energized, we will press ahead in the second half of 2018 with the help of our KLM Flightplan on: customer centricity, digitisation, the unit cost and the operational performance. I would like to wish everyone a great summer and a lovely holiday!